Cherie Shepard Invited to be Big Biller Panelist at ORA Cleveland Chapter Meeting - Direct Recruiters Inc.
Cherie Shepard, Director of Packaging, Material Handling & Food Processing will be a Big Biller Panelist at the Ohio Recruiters Association (ORA) Cleveland Chapter Meeting on March 28th. Cherie joins three other Recruiting professionals for the “Secrets of Cleveland Big Billers Revealed” to discuss how they achieved placement success in 2016. As Director of Packaging, Material Handling & Food Processing, Cherie works closely with Dan Charney, President, and Jason Herbert, Practice Leader, to expand this specialty segment. Cherie is known for her ability to quickly comprehend clients' unique needs and identify high caliber talent compatible and capable of working in their specific environment and company culture. In addition, throughout the hiring process, she maintains open communication with clients and candidates and her friendly, outgoing personality and sense of humor immediately puts them at ease. Cherie is committed to performance, quality, and positive results. To stay current with industry news and trends, she routinely travels to trade shows and networking opportunities to meet with industry leaders. Cherie serves as a positive role model for women wanting both a family and successful career. She started the DRI Women's Group with the mission of supporting and advancing the careers of the women of DRI/DCA. The group focuses on Business/Personal Development, Wellness, Philanthropy, and Social activities. In addition to leading the women's group, Cherie is also a member of the company leaders group. 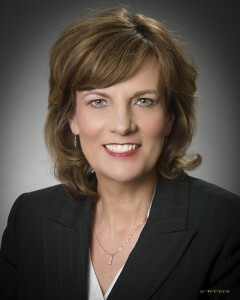 She earned her Bachelor of Business Administration from Cleveland State University.